This is a special FAM offer for South Carolina Sr. Pastors and Official Church Leadership to Travel Ten Days in Israel with Dr. Gary Hollingsworth, Executive Director-Treasurer, South Carolina Baptist Convention and Dr. Tony Crisp, President True Life Concepts Ministry and TLC Holyland Tours. 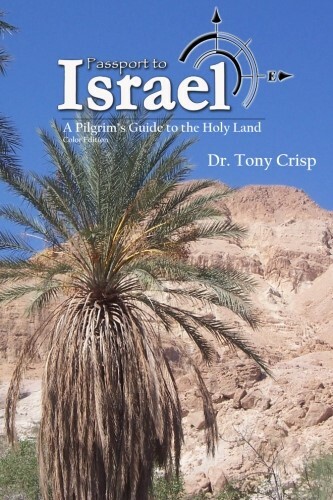 The opportunity for this Familiarization Tour for Senior Pastors or Official Church Leadership desiring to lead a trip through Israel with the help of TLC Holyland Tours and visiting Israel for the first time, is possible through the joint effort of TLC Holyland Tours, Immanuel Tours our partner in Israel, and numerous other service providers. Our goal is to help pastors learn about and experience all Israel has to offer with the expectation they will commit under God, to do their very best to schedule, book, and take a group to Israel within 18 months of return to the USA through TLC Holyland Tours. Pastors, if you will take a trip within 18 months and take at least 20 passengers, TLC Holyland Tours will credit this FAM (and estimated fuel cost, but not including a single supplement if utilized) totaling $2,500 to your group’s cost!! Due to new requirements for a FAM tour by hotels in Israel, spouses are not invited to participate on this special FAM. **The estimated airport departure tax/fuel surcharges of $701 are not be included in the basic cost, but will be billed before departure. This cost is subject to change up to the time of ticketing. Today you will leave the United States on a trans-continental flight to Tel Aviv, Israel. . These final days are spent in and around Jerusalem, the ancient capital. Once you arrive, before disembarking each afternoon, you will hear the next day’s itinerary. Listed below are just some of the sights you will experience together. Ancient Shiloh, David’s City and much, much MORE!